Product prices and availability are accurate as of 2019-04-24 03:07:36 UTC and are subject to change. Any price and availability information displayed on http://www.amazon.com/ at the time of purchase will apply to the purchase of this product. A must have! Order GetUBacK Hip-hop 3D Print Sport BascketBall Thicken Long Socks Unisex securely at The We Love Sharks Store today. Many thanks for your understanding! ^ ^. 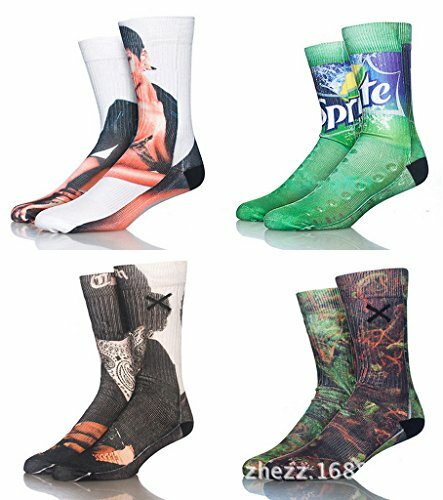 ZP002: 3D Print Sport Casual Socks Total Length 43cm Bottom Length 22cm Height 19cm Weight 100g It usually takes 15-20 days to arrive you. Please choose the colors you want, and leave an message to tell us.